A combined squad of DUSC Girls visited the birthplace of our game this summer, experiencing the cultures of England and of football. Upon arriving in London, the group was met by experienced Generation adidas tour guide, Jack Craven, who would prove to be an invaluable resource for the London part of the trip. Their first expedition was to a Premier League fixture at Fulham FC’s Craven Cottage against Crystal palace, an 0–2 loss for the home team. A London derby at Crystal Palace—a historic stadium known for it’s intimacy—on opening weekend. It was hard for the players to imagine how their trip could get any better. But it would. 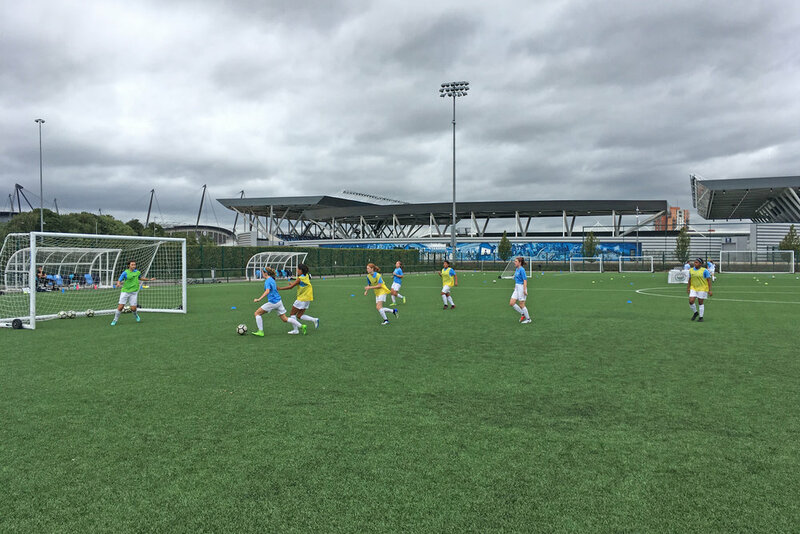 The girls had their first training session at Emirates Stadium with the coaches of the Arsenal Ladies team, and were thrilled to hear that the coaches were impressed by their skills and attitude. Following the training, the group watched Arsenal Ladies U19 take on Charlton Athletic. Then they took to the pitch themselves, taking on Arsenal Ladies U17 Development Academy. Next was a tour of Emirates, England’s third largest grounds and a place steeped in heritage and history. Their new friends at Arsenal even had a special treat for the girls on arrival, greeting them with colorful gourmet cupcakes to celebrate the birthday of our own Maddie Chun. After a whirlwind tour of some of London’s most photogenic sights, the girls took off by bus to the north country, headed to Manchester for the second half of the trip. After a night and some rest in Manchester, the team played the academy of a local professional team, Crewe Alexandra. Next up was the highlight of the trip, a tour of Manchester City’s Etihad Stadium combined with training at the stadium that would be repeated for three consecutive days. Even after their time in London, the team felt that this was another level of football. The facilities are renowned as being the very best in the world and the training, under Pep Guardiola’s direction, the most advanced. Coach Guardiola has taken the philosophies and techniques he learned in Barcelona under Johan Cruyff and continued to advance them, first at Barça, then at Bayern Much and now at Man City. And it shows, in everything done at the club, at every level. 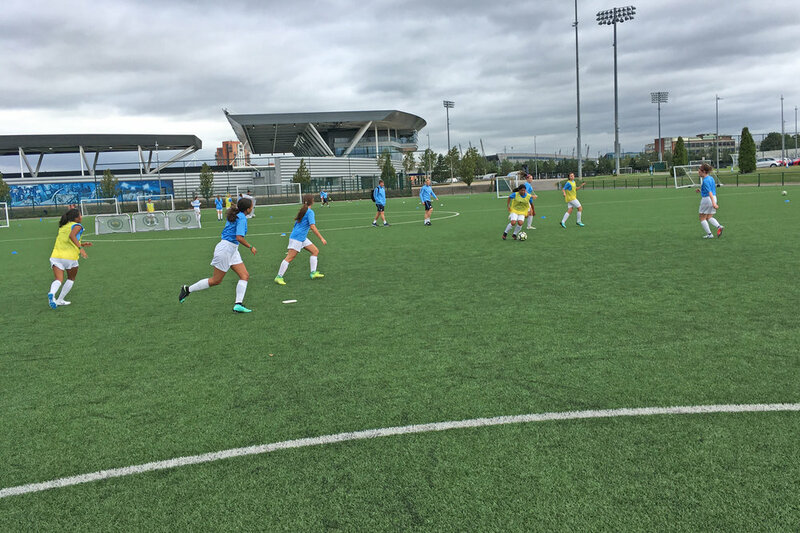 The girls third match was the competitive highlight of the trip, as they and their coaches felt that they were finally able to unite on the pitch and play with the same mentality, applying the lessons they had learned at Emirates and Etihad. Their performance earned them positive recognition from the opposing coaches, and they did well to represent their country and their club.